St. Peter’s Hospital completed its 10,000th robotic-assisted surgery last week. With this milestone, it joins a group of only 50 hospitals across the United States to achieve such a distinction. The achievement underscores the leadership of St. Peter’s Hospital in minimally-invasive robotic surgery in the Capital Region. 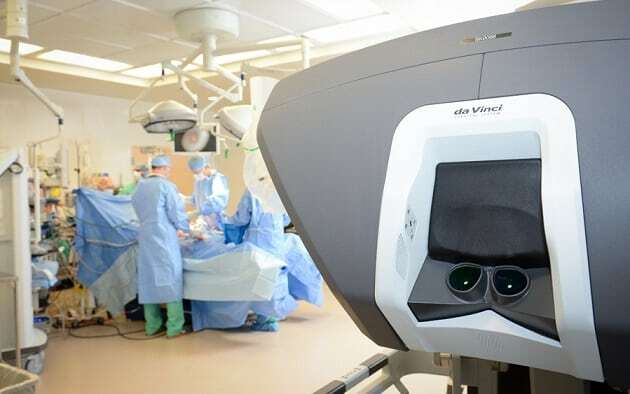 St. Peter’s Hospital started offering robotic surgery in 2004, when it was the first hospital in the Capital Region to acquire and use a da Vinci computer-enhanced surgical system. 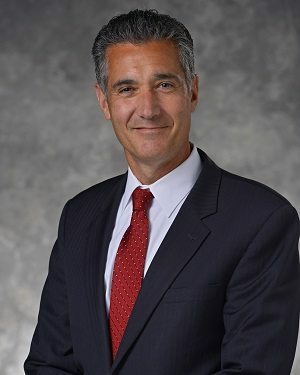 In 2014, St. Peter’s Hospital became one of the first hospitals in the nation and the first in the region to acquire and use the state-of-the-art da Vinci Xi Surgical System, which offered an even higher level of precision for surgeons, as well as a more comfortable surgery experience and quicker recovery time for patients. Today, St. Peter’s Hospital continues to lead robotic surgery in the Capital Region, with 18 experienced surgeons and more than 40 nurses and surgical technicians contributing to the hospital’s robotic surgery program. These procedures encompass seven different surgical specialty areas, including: general surgery; colorectal; gynecological oncology; gynecology; hepatobiliary and pancreatic; urology; and thoracic. More than half of the robotic-assisted surgeries performed at St. Peter’s Hospital have been laparoscopic hysterectomy procedures. Other procedures include those involving prostate cancer, breast cancer, cancer in the female urinary system, colon cancer, kidney cancer, pancreatic cancer, bladder cancer, and hernia. The da Vinci Xi Surgical System integrates robotics and extremely sophisticated computer technology with the skills of the surgeon. The system allows the surgeon to perform delicate operations with great precision and maneuverability, but requiring only tiny surgical openings. By avoiding the large incisions of open surgery, this computer-assisted, micro-surgery helps avoid many complications and speeds a patient’s recovery. Two da Vinci Xi systems at St. Peter’s Hospital, as well as the hospital’s original da Vinci system, were purchased with funds raised through philanthropy. Click here to learn more about robotic surgery at St. Peter’s Hospital.